CLAM LAKE WITH A SANDY BEACH! This house has it all! 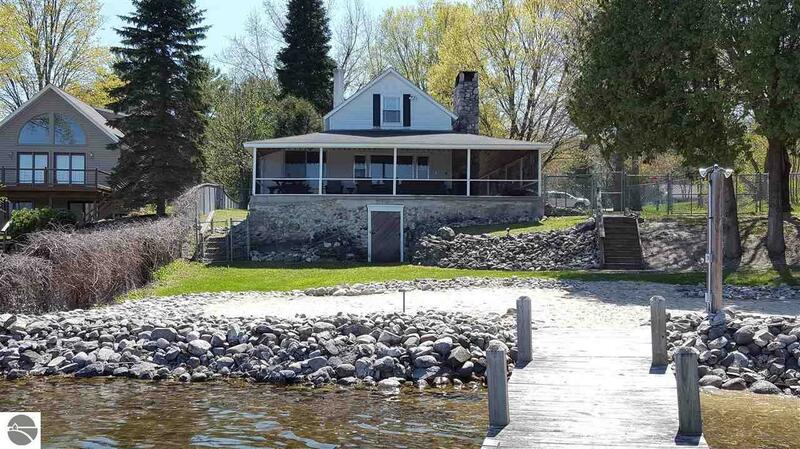 The entire lower chain of lakes are accessible from this charming waterfront cottage and your own private permanent dock! Cozy up in front of the fieldstone fireplace or enjoy the serenity of the water lapping at the shoreline from the covered, screened in wrap around porch. New furnace with Natural Gas just installed April 2016! Great attention to detail in this home. Fenced in yard with gate. Garage could be converted to rec room or guest quarters.